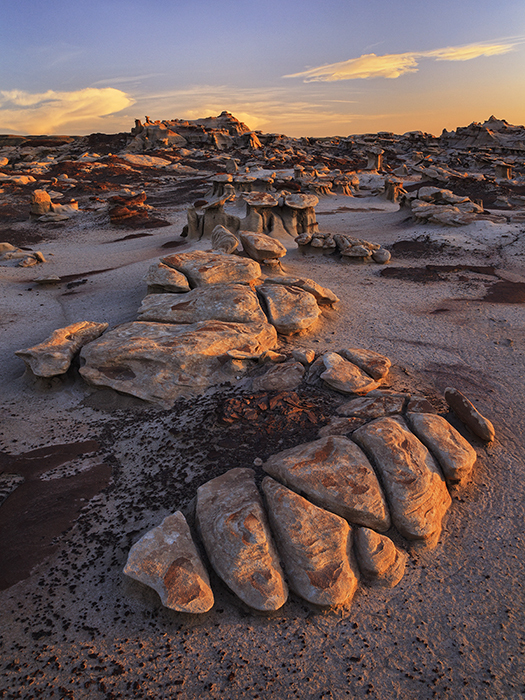 The Bisti Badlands in Northwestern New Mexico is a destination that had been on my list for many years to explore and photograph and I finally made it there in May 2012. 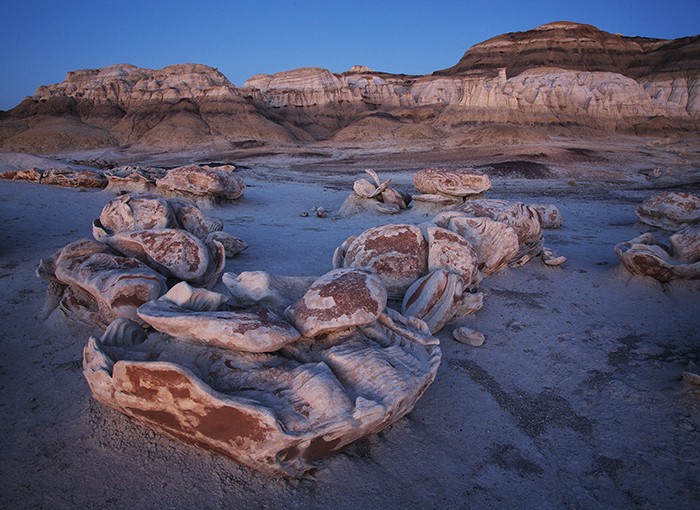 The badlands is 4000 acres of Blm land that is an amazingly scenic and colorful area with strangely eroded rocks that make one feel as if you are on another planet. 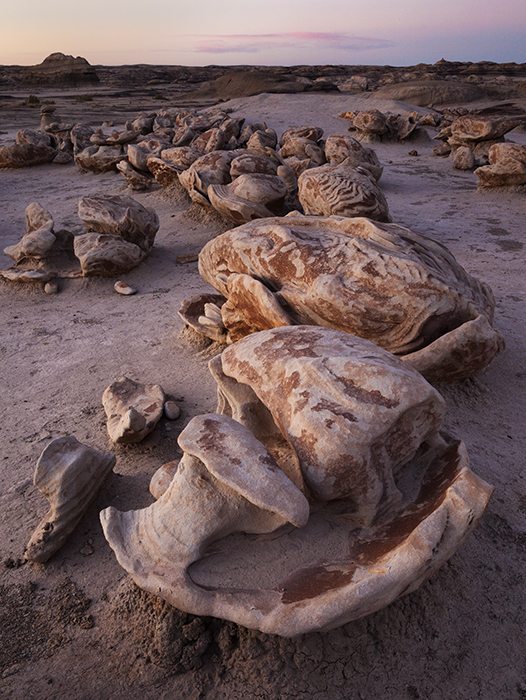 There are other badlands in the area as well as the Chaco Culture National Historical Park.